Some notes on wiring I prepared for a recent presentation. 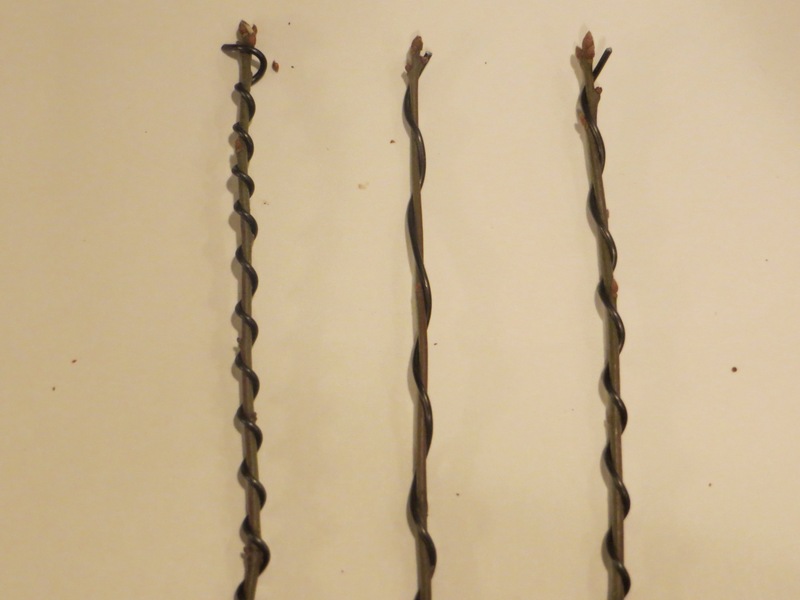 With aluminum wire (use on deciduous trees and azaleas), use a wire that is 1/3-1/2 the diameter of the target branch. 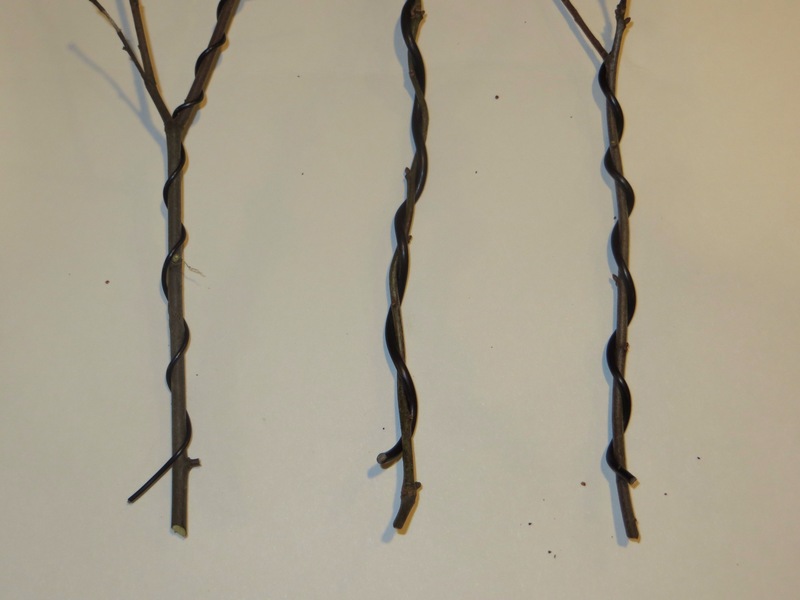 When wiring a branch, 60-degree angle is the generally accepted, correct wiring spacing. Too tight, and the holding power is reduced, wire is wasted, and scarring is increased. Too loose, and the holding power is reduced, and branches tend to break with the diminished support provided by the wire. Just right, and the bend should hold. Added considerations to proper wiring include planing the wiring route so wire will be on the outside of bends, opposite side of buds, and always routed to pass consistently under or above secondary branches…more on that shortly.